Her return marks a turning point in Washington politics. Spurred by her re-election as Speaker of House, Nancy Pelosi is looking to challenge President Trump's views. Democrats assumed a significant amount of control of the House of Representatives on Jan. 3, and elected California Representative Nancy Pelosi speaker; this will return her to her historic distinction as the first woman ever to hold the post. The Democrat’s takeover of the House opened a new and contentious era of divided government in Washington; this gives Pelosi and her party a platform to challenge President Donald Trump as the early stages of the 2020 race for the White House take place. Pelosi won the speaker-ship for the second time. This marks the first time, since 1955, that a speaker of the house has won back the position. As the only woman ever to serve as speaker, Pelosi doesn’t shy away from voicing her opinions and views on significant issues. She took the reins, planning an ideologically diverse Democratic caucus that won majority in part by opposing Trump’s policies. Democratic lawmakers, who now oversee the majority of the House, have said they would use their authority to review the Republican president’s tax returns and probe his business dealings. 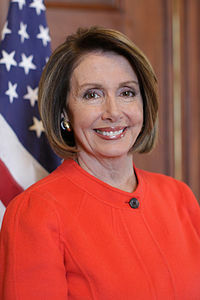 Currently 78 years old, Pelosi was first chosen to lead the caucus in 2002 and served as the first female speaker from 2007 to 2011. As the Baltimore-born daughter of a congressman, she rose through California party politics, starting as a campaign volunteer, and was first elected to Congress in 1987. Her election Thursday makes her the first person to reclaim the gavel since Sam Rayburn, a Texas Democrat, in 1955. Regardless of which party one sides with, there is sure to be change implemented now that the Democrats have gained power over the House. With the government shutdown underway and poles shifting towards the Democratic party, the house shift is likely going to challenge President Trump’s views going forward.